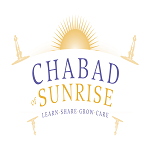 Please join us for uplifting and inspiring High Holiday services with Jews from all walks of life in the Sunrise area. The liturgy will follow the traditional tunes and will be intermingled and infused with inspiring commentary, stories, lessons and melodies. Need-based scholarships are available. Contact the rabbi for details. Scholarship sponsorship is available. 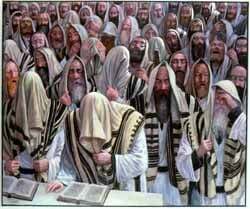 Contact the rabbi to help out. For service times and details, click here. To RSVP click here. 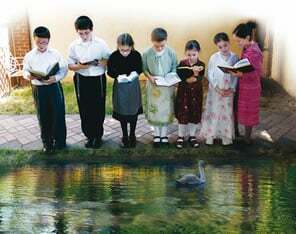 Join us for a unique, meaningful ceremony called "Tashlich" that is done only once a year. 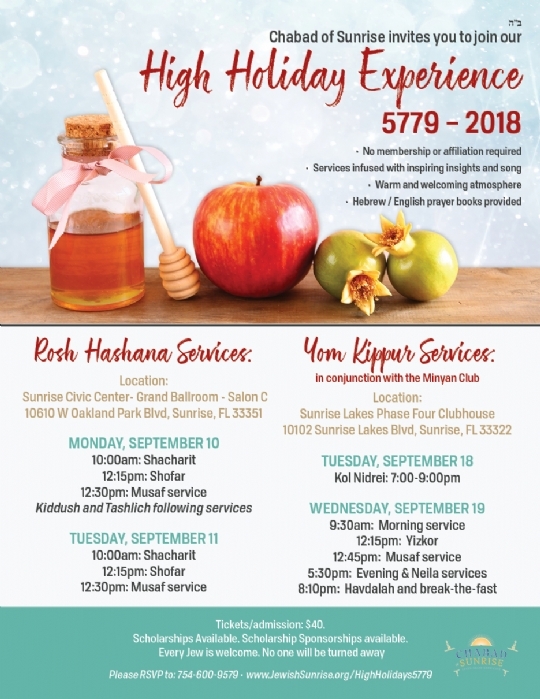 This service will take place after the kiddush on the first day of Rosh Hashana. For detailed service & break-the-fast times and schedules, click here. To RSVP click here. "May you be inscribed and sealed for a great, sweet new year!"